You’ve come to the right place. This is Noosaville accommodation on Gympie Terrace. 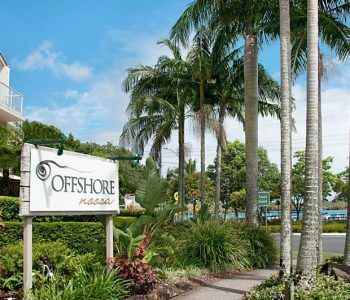 Here at the Offshore Noosa you’ll enjoy lovely river views (please ask when booking) and a superb location just doors away from the famous restaurant strip along Gympie Terrace. Fine dining and fine Noosaville accommodation are the perfect match for a romantic getaway. 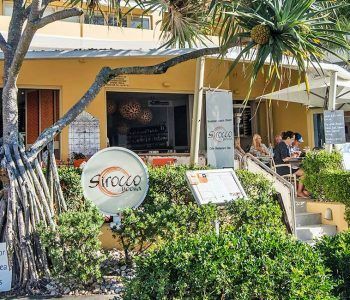 At four and a half stars the Offshore Noosa delivers a smooth and sophisticated holiday accommodation experience. We have one, two and three bedroom apartments, so we’re also a fine match for families too. Everyone will love the spaciousness and light filled interiors. The furniture is large and comfortable too. We know relaxing in our apartments is never a problem. We also know that our central courtyard and pool is a very lovely spot for families to enjoy quality time and an equally tranquil place to chill with a book, a cool drink and regularly applied sunscreen. The azure lagoon style pool (yes it really is that colour) and accompanying BBQ station, outdoor dining furniture, spa and sauna make for a very relaxed setting. Of course no description is complete without mention of the fantastic selection of restaurants and cafes on Gympie Terrace. Award winning and appetite inducing aromas will emanate from the doors beyond the resort. Yes be seduced by the early evening sous chef preparations. Sweated onions and garlic smell great anywhere, and when you&#39;re in Noosaville the tantalising preparations carry far. 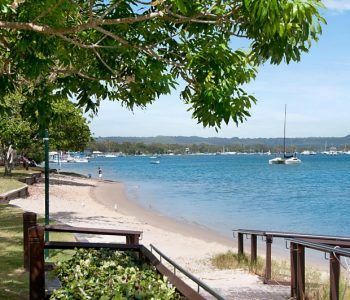 Gympie Terrace is not only famous for it’s gastro appeal, but a few stops along the Noosa Ferry route you’ll find the O and T Boat stations to hop off where you can hire watercraft for the day, or make friends with a stand up paddleboard or explore some of the interesting tributaries of the Noosa River. So many fun things to do on, in or beside the Noosa River, and it’s easy to access from our Noosaville accommodation on Gympie Terrace. The Offshore Noosa. You have to book now, don’t you?